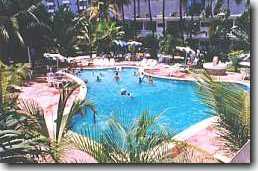 A family hotel conveniently located like an oasis in a tropical garden across from the beach in the most exclusive tourist area of the Acapulco bay. The swimming pool with its crystal clear water, surrounded by the spectacular tropical garden, is one of Acapulco's largest and most beautiful. 88 air-conditioned rooms on only two levels with cable TV, phone and refrigerator, some of them with kitchenettes. 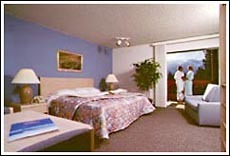 Rooms available at affordable promotional rates and reduced rates for travel agencies and groups. 3 tennis courts with night-lights and a professional tennis staff to offer lessons for beginners and advanced. 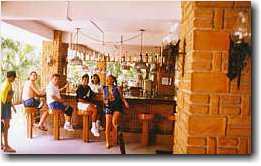 The bar in the garden, next to the swimming pool is another of the hotel´s amenities. The hotel's free and convenient parking lot, subject to availability, allows easy access to all rooms. The hotel´s shopping center with 30 stores: Guess, Travel Agencies, Piano-Bar, Restaurants,Rent a Car, Currency Exchange, Convenience stores: Boutiques, Beauty salons. 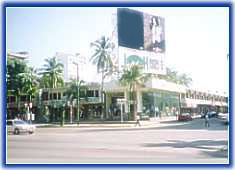 In addition next door, the Plaza Bahia Mall offers other shopping opportunities. It's the people. Part of the hotel's charm is in our friendly, courteous staff. From registration to check out you'll recognize a special style of cordial and respectful hospitality. It is the unique atmosphere, the attraction of Acapulco and its spectacular allure, that you feel everywhere. It is the incomparable climate. The blue sky. The endless beaches of golden sand. The marvelous sunsets of Pie de la Cuesta. The magic of Mexico and the South. It's all of these! All the year. 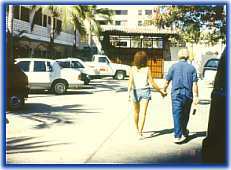 STANDARD ROOMS: On the Main Avenue Costera M. Aleman or on the side-street facing the Commercial Center " Plaza Bahía". GARDEN ROOMS: Facing the swimming pool and the tropical garden. SECTION SOUTH ROOMS: Facing our Tennis Center. 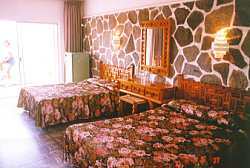 Most of the rooms are equipped with 2 double beds, but there are also rooms with 3 double beds in the categories STANDARD AND SECTION SOUTH. In the category STANDARD we also offer adjoining rooms, the first one with 2 double beds and the second with 2 or 3 single beds ( total 4 or 5 beds ). The rate of these 2 adjacent rooms is reduced to the rate of one double room plus US$7.00 daily for each additional adult person and 17% tax. Some of these rooms ( with 4 or 5 beds ) and the rooms in the GARDEN category (2 double beds) have also a kitchenette by a daily charge of US$7.00 and 17 % tax. "A helpful staff and a prime location make this an appealing place to stay. 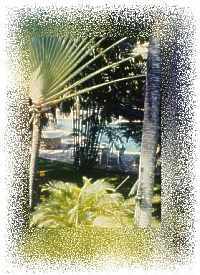 Rooms, which have colonial-style furnishings, are around a garden with a good-size pool. Some have kitchenettes and balconies; all are spotlessly clean and well priced. 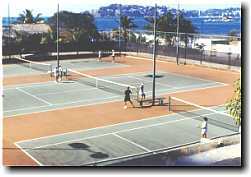 The Park has an excellent tennis center, and it's only a block from the beach." Room rates per night for single or double occupancy. 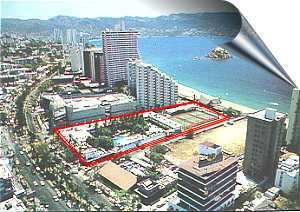 STANDARD ROOM: On the Main Avenue Costera or facing the commercial center Plaza Bahia. GARDEN ROOM:Faces the swimming pool and tropical garden and includes a small terrace. SECTION SOUTH ROOM:Our finest rooms that face our tennis center. Rates change without previous notice! Children younger than 12 stay for free. All prices are subject to 15% sales tax and 2% room tax. events, but remain valid after a reservation is confirmed. 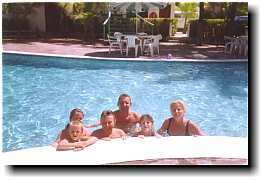 We offer promotional prices and discounts for groups of 9 rooms or more and travel agencies. Long standing clients will of course also receive special consideration.